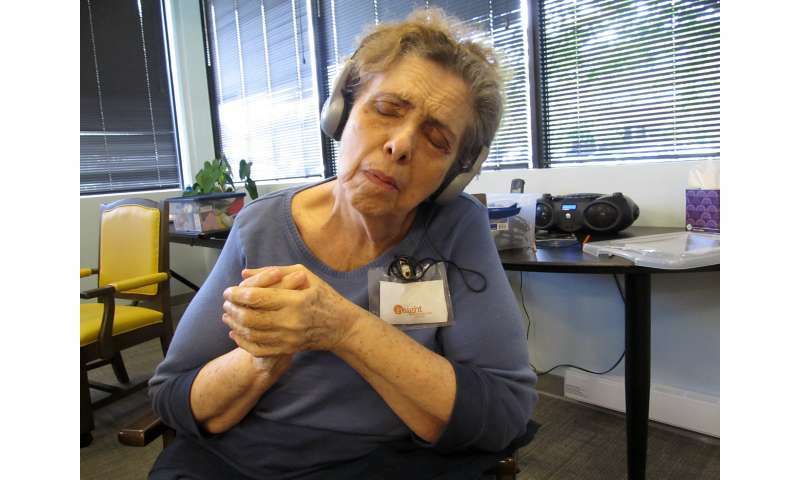 In a Geriatrics & Gerontology International study of 51 individuals living with dementia who attended community-based adult day health centers, behavioral observations of a music intervention showed a positive change in mood and a decrease in agitation. Participants demonstrated significant increases in joy, eye contact, eye movement, being engaged, and talkativeness, and a decrease in sleeping and moving or dancing. For the study, each participant listened to personalized music using headphones, which prompted social interaction with one another and/or the researchers while listening. After 20 minutes, participants were brought back to the center's usual activities and were observed for 20 more minutes. "The promising results of this affordable and meaningful intervention have propelled our team to develop an online training for direct care workers in long-term care communities," said lead author Dr. Emily Ihara, of George Mason University. "The 'Mason Music & Memory Initiative (M3I)' combines this training with the music intervention and will be implemented in over 100 Virginia nursing facilities over the next three years."